Whitesnake regret to announce that powerhouse drummer, Brian Tichy, has told David Coverdale this morning he is leaving the band to pursue the SUN project he started with gifted singer/guitarist Sass Jordan. Bassist & singer, Michael Devin, also a participant in SUN, will remain with Whitesnake. 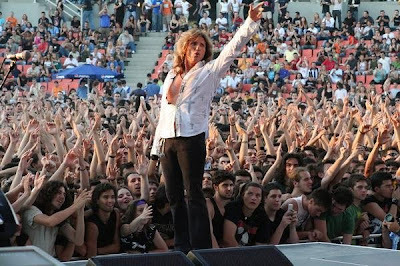 Whitesnake have begun the search for a new drummer. There are several musicians already being considered. A spokesman for the band said that this will not affect the forthcoming tour dates for 2013.